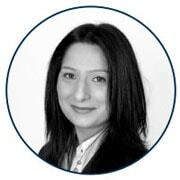 Amandip Dhaliwal is a solicitor in the Private Client department and specialises in wills and probate. Amandip completed an LLB (Hons) in Law from University of Southampton with a 2:1, before attending Bournemouth University for the Legal Practice Course. She joined Bird & Lovibond as a Trainee Solicitor in 2005 gaining experience in a range of work areas before qualifying as a solicitor in 2007. Amandip is fluent in Punjabi and Hindi. Away from the office, Amandip enjoys spending quality time with her family and friends, dining out and going to the cinema.